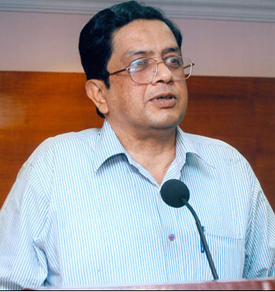 The name of PJ Thomas, a former IAS officer of the Kerala cadre and former Chief Vigilance Commissioner of the Government of India, is now a byword in the country because of the notoriety it has gained from the circumstances leading to his relinquishment of the office of CVC and particularly the insinuation that he was made to relinquish that office by the Supreme Court following allegations of corruption. The basic facts have been occluded by vengeful media, both print and TV, latching on to what was thought to be yet another salacious scam involving the highest echelons of government, without reflecting on the wrong that was being done, perhaps irreparably, in not publishing the facts. The raw facts are these. In the year 1991, a quantity of palm oil, known as palmolein, had to be imported by the Government of Kerala. At that time, the late K. Karunakaran of the Congress was the Chief Minister of Kerala; S. Padmakumar was the Chief Secretary, Zacharia Mathew was the Additional Chief Secretary and PJ Thomas was Secretary, Food and Civil Supplies, in the Kerala Government. Thomas was directly responsible in the discharge of his duties to the Additional Chief Secretary and Chief Secretary. Discussions were held on 7 October, 1991for the import of palmolein by the Chief Minister in New Delhi with a representative of Power and Energy Limited, a company based in Singapore, in the presence of the Chief Secretary for importing the requisite quantity of oil. It may be noted that PJ Thomas was not present during this discussion, knew nothing about it and contributed nothing to it. The relevant file was received from the Chief Secretary and Additional Chief Secretary by Thomas on 11 October, 1991. He saw that it contained a letter addressed to Shri Narasimha Rao, the then Prime Minister, requesting the clearance of the Government of India for importing palmolein. The Chief Secretary directed that necessary action following up the Chief Minister’s letter should be taken. Upon this, correspondence with the Government of India was initiated by Thomas through the Kerala Special Commissioner based in New Delhi. On 6 November, 1991, the Government of India formulated a scheme for the import of palmolein by the states on rupee payment. A copy of this scheme was forwarded to the Chief Secretary by the Special Commissioner in New Delhi. The Chief Secretary sent down a further note on 18 November, 1991 directing that immediate action be taken on the scheme for the import of palmolein. Thereupon, this matter was discussed by Thomas with the Additional Chief Secretary and, in pursuance of the latter’s instructions, he prepared a detailed proposal for the import of palmolein, which he put up to the Additional Chief Secreatry on 19 November. The file was next seen by Thomas on 28 November and he found in it a minute recording the Cabinet’s decision on 27 November to import 15,000 tonnes of palmolein through Power and Energy of Singapore. The name of the Singapore company had apparently been recommended by the Additional Chief Secretary and endorsed by the Chief Secretary and the Minister for Food and Finance. After going through the necessary motions, a government order was issued to the Kerala State Civil Supplies Corporation for the import of palmolein from Power and Energy of Singapore. It was fully within the Corporation’s powers to finalise the price etc. for palmolein to be imported in pursuance of the cabinet’s decision. The price was fixed at US$ 405 per metric tonne. The role of Thomas was limited to translating a cabinet decision into a government order and communicating the order to the Kerala State Civil Supplies Corporation. In particular, he was not involved in fixing the price or in other exercises of the Corporation. The oil was imported in March – April, 1992. The matter was dead and buried. But a Leftist government came to power in May 1996 and on 21 March, 1997 resurrected the matter by causing an FIR to be filed against K. Karunakaran and six others under various sections of the Prevention of Corruption Act and 120B IPC for causing unlawful loss to the state to the tune of Rs. 2.8 crores and unlawful gain of the same amount to Power and Energy of Singapore by importing palmolein in 1992. Among the persons named in the FIR were the then Chief Secretary, S Padmakumar and the then Additional Chief Secretary, Zacharia Mathew. Thomas was not named in the FIR, thus making it amply clear that prima facie no case could be made out against him for complicity in the deal. Almost a year later, on 8 February, 1998, as an afterthought, Thomas’ name was added to the FIR as accused no. 8. The loss of Rs. 2.8 crores was calculated by the police investigating officer on the basis of the price of US$ 405 per metric tonne paid for the palmolein, when the actual price was US$ 392 only. What the officer failed to realise was that the price fluctuated daily in a traders’ market. The lower price ruled on the date of the cabinet decision for importing the oil, namely 27 November, 1991, and the higher price was the one ruling on the date the civil supplies corporation actually placed the order in January, 1992. En passant, it may be mentioned that West Bengal imported the same oil at the same time paying US$ 407 per metric tonne. Be that as it may, as pointed out earlier, Thomas had no hand whatever in fixing the price of palmolein, which was solely in the ambit of the civil supplies corporation. Thus there was no case for him to answer. The state government approached the Government of India in November, 1999 for sanction for prosecuting Thomas for offences under the Prevention of Corruption Act alleged against him. This sanction was not, and has not yet been, granted. On a reference being made to him the Chief Vigilance Commissioner, reported that the material on record did not disclose the commission of any criminal offence by Thomas. The trial court was unable to proceed with the trial of the case for the lack of sanction of the appropriate authority for the prosecution of K. Karunakaran, who was then a Member of Parliament, and other government servants. The appeal of the state against this was allowed by the High Court on 19 February, 2003. Thereafter, on 23 March, 2003, a charge sheet was filed in the trial court without the mandatory sanction for the prosecution of the accused. The High Court’s decision was challenged by Karunakaran in the Supreme Court, which made absolute its stay on the proceedings of the trial court. On 28 March, 2005, the state government decided to withdraw the prosecution giving detailed reasons for this. In brief, it was argued by the state government that no unlawful loss had been incurred by the state exchequer and no unlawful gain had accrued to any private individual. Simultaneously, a parallel motion was made by the state before the Supreme Court in Karunakaran’s matter. In March, 2006, the Government of India closed the file on this subject and the Supreme Court was pleased to order on 29 April, 2006 that the prosecution might be withdrawn. By the time action could be taken on the Supreme Court’s decision, elections to the state assembly were announced and the model code of conduct came into force precluding the withdrawal of the case against Karunakaran. A Congress regime was in power in Kerala from 2001 to 2006. But in the latter year, in the assembly elections, the Leftists were voted back into power and, predictably, on 27 May, 2006 they moved the Supreme Court for reinstatement of the prosecution and a little later wrote to the Government of India also in the same vein. On technicalities, the matter was remanded by the Supreme Court to the High Court and by the latter to the trial court. At this stage, on 3 August, 2007, Karunakaran moved the Supreme Court once again and obtained from it a stay on the High Court’s order. The Government of India inter alia called for the comments of the Chief Vigilance Commissioner on the request that they had received from the state government for reinstatement of the prosecution. He reported that no criminal case had been made out. This is where the matter rests now. On the Supreme Court front, the matter abated in January, 2011 with the demise a little earlier of K. Karunakaran. In the meantime, on 18 September, 2007, Thomas was appointed Chief Secretary of Kerala. This is significant. It clearly established that in the Leftist regime’s thinking, Thomas was not guilty of any wrong doing, for otherwise it would not have appointed him to the highest post in the civil service. Thereafter, Thomas was appointed Secretary, Department of Telecommunications in the Government of India. Prior to this, the clearance of the Central Vigilance Commission was again sought and once again the CVC reiterated the earlier opinion. Thereafter, in circumstances which have wrongly gained notoriety, Thomas was appointed Chief Vigilance Commissioner of the Government of India. He was selected from a panel of three names by the Prime Minister, the Home Minister and the Leader of the Opposition in Parliament, Mrs. Sushma Swaraj, who drew attention to the charge sheet filed against Thomas. By all accounts, Thomas’ integrity is impeccable and unassailable. A large body of civil servants of Kerala publicly proclaimed this. The appointment of Thomas as CVC was questioned in the Supreme Court on the basis of events that occurred nearly two decades ago and the Supreme Court, in a seventy one page judgment delivered on 3 March, 2011, held inter alia that institutional integrity of the office of Chief Vigilance Commissioner, rather than the personal integrity of its incumbent, was an important consideration and that had been impaired in the case of Thomas by overlooking the charge sheet filed against him and on this ground the Court held Thomas’ appointment to be ‘non est’. It is respectfully submitted that the ratio decidendi of the Hon’ble Supreme Court is a bit difficult to comprehend, for, in the last analysis, the entire case against Thomas rested on a solitary, misconceived FIR which was filed as an afterthought and which should never have been filed. Following the verdict of the Supreme Court, the Prime Minister accepted responsibility in Parliament for the error committed in appointing Thomas and apologised for the error. The Prime Minister was needlessly apologetic. Given the facts as now recorded, he did no substantive wrong and he did not commit any error. This matter is now with Her Excellency the President of India. There must surely be some way to determine, without any loss of time, whether the FIR against Thomas was rightly filed and it is for Her Excellency and/or the Hon’ble Supreme Court to find that way. And if it is found that the FIR was not rightly filed, then Thomas should be reinstated as CVC so that justice may be done for a man who has not sinned at all, but who has been grievously sinned against. You wrote - "Thomas was appointed Secretary, Department of Telecommunications in the Government of India - this is the time while 2G spectrum scam went on"
That's wrong. Thomas was appointed as the Telecom Secretary after the 2G auction. In fact, Thomas was the Telecom Secretary during the 3G auction that helped the government earn twice the estimated revenue. His opposition to Devas deal was also been brought out by media. He has an unblemished record in the service except for the misconceived FIR that was filed in error. The Supreme Court's judgment, in my opinion, is disastrous to the constitutional institution of Central Vigilance Commission. If the government is going to take the recommendations from Supreme Court, it would be the case that they can appoint anyone (against whom there was never an FIR). Such a loosening in the eligibility criteria would only lead to the collapse of the institution ! I hope the President would intervene, and let's hope this Supreme Court judgement gets annulled for the larger interest to uphold the constitution. The issue of the State Government seeking sanction for procution of Thomas inter alia is to be lookeat the correct perceptive. If no case existed for prosecuting Thomas, why was not the request processed by the administration at the Centre? It is the typical bureacratic devil-may-care-less attitude on such requests received from any quarter. While the requrement of sanction for rosecution itself may have two sides and I do not wish to go to the tangent, it should be obvious, had the correct administrative process followed and sanction refused for objective reasons, the case against Thomas would not have arisen in the first place. Let the IAS lobby learn to treat such requests in due course. Save Thomases in future; but of course, a few Mathews (name has no significance, does not refer to any specific individual) may be prosecuted, which is allowed to happen by the present non-action on request for prosecution. The state government approached the Government of India in November, 1999 for sanction for prosecuting Thomas for offences under the Prevention of Corruption Act alleged against him. This sanction was not, and has not yet been, granted. The appointment of CVC should be unanimous, ie. PM, Home MInister and Leader of Opposition should say yes to his selection. In a democratic country like us, the Leader of opposition should enjoy same status as a PM does. The flaw in appointing Mr Thomas lies here. If he has to be reinstated, the Leader of opposition need to approve, and not the Supreme Court!! This is surprising and worrisome, why media does not report issues correctly especially when they spend so much. 1. Thomas was appointed Secretary, Department of Telecommunications in the Government of India - this is the time while 2G spectrum scam went on !! 2. In a long career, honest officer initially transforming into opportunistic corrupt officer can not be ruled out, when it is visible that corupt ones are rewarded and honest ones are punished. 3. Why PM showed haste in appointing Thomas as CVC when opposition leader remarked about a pending charge sheet and requested to wait for a day -> this is the biggest question not answered in public. 4. Can not imagin that the most corrupt govt so far in independent India - UPA-1 appointed an honest officer as CVC in haste. There must be intentions behind. Then, why should be he reinstated as CVC even if FIR filed in 98 is found to be wrong ? Who will confirm that there were no hidden interests in appointing him as CVC in haste by corrupt politicians ?